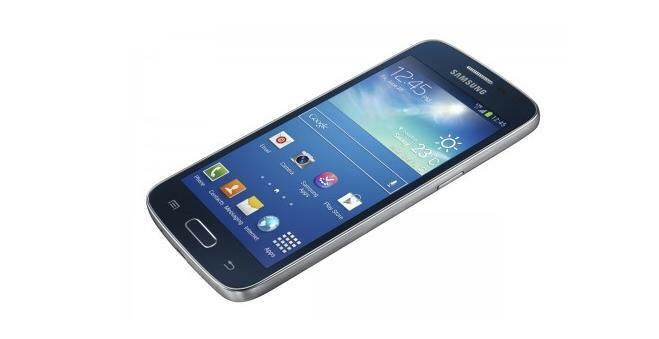 Samsung announced on Tuesday that Vodafone will begin selling the Galaxy Express 2 with LTE beginning on Oct. 23. The device follows the launch of the original Galaxy Express in January of this year. The device is relatively mid-range, most people may be more attracted to the Galaxy S4 for example, and features a 1.7GHz dual-core processor, Android 4.2 Jelly Bean, a 4.5-inch display, a 5-megapixel camera, 1.5GB of RAM, 8GB of storage that’s expandable through a microSD card slot, a 2,100mAh battery and support for the budding 4G LTE networks in the U.K. The phone also features some of Samsung’s software features, including Smart Stay, S Translator, Story Album, S Travel and more. Samsung didn’t provide a price, but with those specs we assume the Galaxy Express 2 will have a very affordable price tag. The device will launch in white at Vodafone, though other carriers will offer it in the future also. Vodafone has an exclusive on a blue color as well. London, UK – October 22nd, 2013 –Samsung has today announced that the Galaxy Express 2 LTE version, an updated version of the popular Galaxy Express, will be available to buy in the UK from 23rd October exclusively from Vodafone stores at launch with additional retailers to follow at a later date. The Galaxy Express 2 is powered by Android 4.2, and with a 1.7GHz dual core processor and 4.5 inch display it allows you to watch multimedia content on the go. The new device features a number of Samsung’s smart functions such as Smart Stay, which uses advanced facial recognition to detect when the phone is in use, as well as Group Play which allows you to share music, documents and photos with other compatible Samsung devices. In addition, the new handset also features S Travel, Story Album and S Translator making Samsung’s latest device the perfect travel companion. The Galaxy Express 2 will be available in Ceramic White in the UK exclusively at Vodafone stores at launch and further retailers from a later date. Vodafone will also be offering an exclusive shade of Rigel Blue.